KERRY Gardaí are investigating the circumstances in which a pregnant woman suffered multiple injuries. The woman, who is understood to be in her 30s, required hospital treatment for her injuries last Sunday. It is understood the woman, who was around 32 weeks pregnant, subsequently delivered her baby in the following 26 hours. However, the infant girl was stillborn. The Kerry Coroner was notified and the Office of the State Pathologist was contacted with the request that a post mortem examination be carried out. 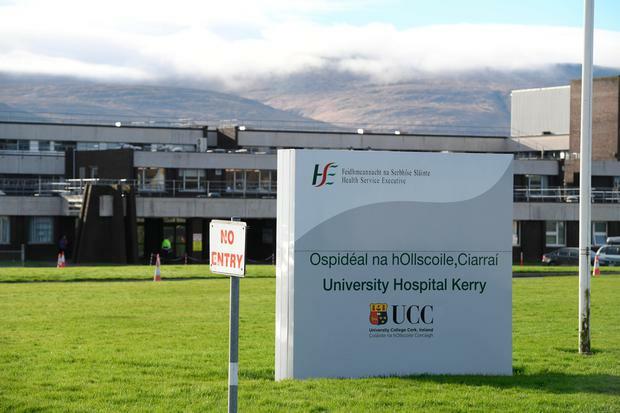 That examination is expected to be carried out on Wednesday at University Hospital Kerry (UHK). It is understood the nature of he Garda investigation will be determined by the results of the post mortem examination. Gardaí attended UHK when the nature of the woman's injuries became known. Subsequently, a man in his 20s was arrested at an address in Kerry on Sunday. He was detained under Section 4 of the Criminal Justice Act and questioned in respect of an alleged serious assault. The young man was later released without charge. A file on the matter will be prepared for the Director of Public Prosecutions (DPP). Louise Walsh A PLUCKY teenager who warded off an attacker with a karate kick has said she relives the terrifying incident every minute but hopes her “scary story” will save someone else.